Our Mission: To create a scented candle that you can actually smell. One that burns clean and is made free of harmful toxins. A great candle that is not only beautiful but affordable! Our candles are made with the highest quality of premium soy wax, infused with essential oil based fragrances. These candles are known for its pure sophistication, and its long-lasting fragrances can fill any room. Lulu Candles burn clean with one of the longest burn times on the market! 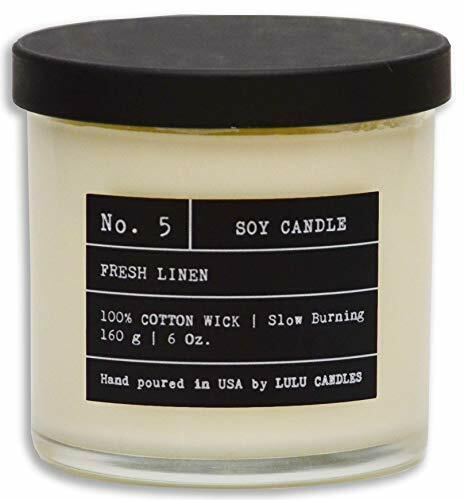 ★ECO-FRIENDLY & SOY WAX - This candle is made with naturally biodegradable and eco-friendly soy wax. It is paraben and cruelty free! ★LONG LASTING BURN - Our candles have one of the longest burn times in the market! ★QUALITY SCENTS- We are extremely selective! ★HANDCRAFTED HERE IN AMERICA- We take pride in being able to say that everything from our ingredients, packaging and labeling is all from the USA. ★PERFECT GIFT- Makes a perfect gift for friends, family members, or for yourself! If you have any questions about this product by Lulu Candles, contact us by completing and submitting the form below. If you are looking for a specif part number, please include it with your message.